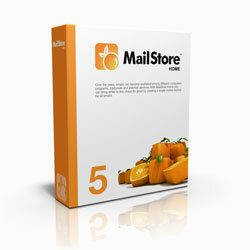 We today announce the release of MailStore Home 5, the most user-friendly version of our free email archiving, backup and migration software for personal use. Following more than 1,500,000 free downloads of MailStore Home to date, we responded to consumer feedback by introducing new sought-after features to MailStore Home 5 – giving users peace of mind that their emails are protected and secure. More and more consumers are relying on free webmail services that do not provide users with any kind of backup system for important personal emails. One of the worst feelings is the panic that sets in when your email provider goes down and you realize you may have lost your emails forever. Our new MailStore Home 5 software helps users gain independence and avoid that anxiety, giving any consumer a straightforward, practical way to backup all of their emails in seconds – free of charge.